Another apology about the long absence in this space. My head has been in a million places, and I’ll talk about that soon. Meanwhile, here are a few things I want to share with you. I’m not sure how to introduce this, because I have a ton of opinions on how we treat people who are not like us. So I guess I’ll just keep it simple: Those of us who claim to be followers of Jesus Christ should see each person as a creation of God – each and every one of us created in His image. That includes Muslims (even terrorists). If you have time to click just one of these links today, please let it be this one. My friend Lois regularly inspires and encourages me with her insights on life and faith. In this post, she brings out a part of the Christmas story that doesn’t get a lot of air time: the role Mary’s cousin Elizabeth played in the drama. (Also, my pastor pointed out something this morning that had never occurred to me: John the Baptist was the first person to celebrate Advent! [The whole leaping-in-the-womb thing.]) Lois points out that our waiting may not be about us at all – perhaps it’s for someone else’s benefit. Like Lois (and me), my friend Alison wrestles with things. And in the midst of it, these two beautiful ladies usually write words that challenge my tiny faith and encourage me to think higher thoughts. Alison and her family have been living in Aberdeen, Scotland, for a couple of years while her husband works on a PhD in theology. Today, she talks about trusting God with her family’s future. 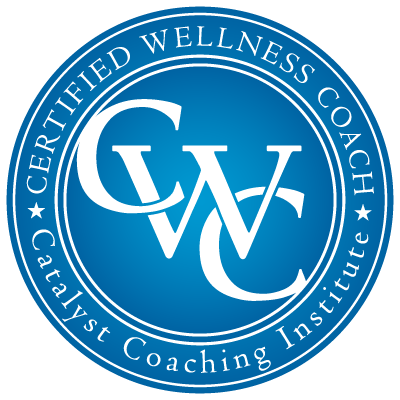 Each week I bring you three tools, tips, articles, recipes or other resources that I find useful, inspirational or interesting on the journey to wellness. Feel free to suggest your own helpful hints and tips by leaving a comment (see Comment link above). But if the person looks semi-legit, I usually check out his or her website, if there is one (bonus if it’s a personal blog with something human to say), then I decide whether to follow back. When Stefne Miller followed me a couple of days ago, I knew almost immediately that I would keep going back to her website. In this link, she writes about the “F” word: forgiveness. I really like her writing style, and I hope her post will speak to you as it did me. On my other blog, Suzy & Spice, I wrote recently about Project STIR, my friend Sarah’s documentary film project in which she highlights family recipes around the globe. Sarah launched her Kickstarter (fundraising) project with a video of “Mamaw’s Chicken Dumplins,” where she films a dear family friend, “Mamaw” (who in some ways took over for Sarah’s deceased grandparents), showing granddaughter Rachel how she makes chicken and dumplings. The video is just over 3 minutes – well worth your time. Sarah has less than two weeks to raise the rest of her funds on Kickstarter, so please consider making a donation – nothing is too small to help her reach the goal, which will help her film the families and their recipes. This project is so wonderful, I know you’ll want to be a part of it. Also, another blogger friend, new mom Paige, who recently started a podcast, features Sarah and Project STIR on this episode of Hear Motherhood (who is not a mom yet, but the project is about family, so it counts!). Sarah tells how she came to know Mamaw, how Project STIR came about, and where it’s going. Take a listen. Sarah also created a Project STIR page on Facebook. And if you’re interested in being an ambassador (share a food memory on your own website), click here for details. I wrote about my first experience with The Pack Shack on the Arkansas Women Bloggers website in September, when I was Blogger of the Month. I say “my first experience,” because I’m not finished yet. I came home from Arkansas Women Bloggers University determined to spread the word. I had heard about The Pack Shack, a new-ish organization based in northwest Arkansas that helps feed the needy, but until you experience a Feed the Funnel party firsthand, you really have no idea. After everyone else had left the party that August weekend at AWBU, I talked to Pack Shack co-founder Bret Raymond, and I was struck by his humble spirit and his desire not to shine a light on himself or even the organization but to bring glory to God. I took the Feed the Funnel idea to my running club and my small group at church, and I also plan to present it to my new employer (I start next week). Stay tuned; I’m sure to be talking about it again in the coming months. Click below to see what a great time we Arkansas Women Bloggers had serving such a worthy cause. It includes a fun video that I shot on Periscope. When you purport to be a coach, a teacher or a mentor (of anything), it’s tempting to let everyone believe you’re a strong, infallible and powerful superhero, no chinks in the armor, ever. I used to be that person. No, not strong, infallible and powerful, but someone who wished she could come across that way to the world (remember, recovering perfectionist here). But if I were trying to advise you in how to do something (or stop doing something), wouldn’t it be better if I could relate to the challenges you face, and better still if I had gone through those challenges (or similar ones), myself? Whether I had succeeded the first time or failed 1,000 times and finally figured it out, you’d be more likely to come to me for advice … or at least for empathy, right? Sometimes a “superhero” needs to just be real. Sunday, we had a visiting missionary in our church services. He has written before on his blog about how missionaries are expected (by some) to be perfect saints, and, in fact, some missionaries try to perpetuate that myth. The tendency is to think you can’t show vulnerability or you’ll turn people off to Christianity. After all, isn’t following Jesus supposed to make our lives rosy and perfect? In John 16:33 (NLT), Jesus said, “Here on earth you will have many trials and sorrows. But take heart, because I have overcome the world.” He never said life would be perfect; He said he’d never leave us to face life alone (Deuteronomy 31:6). Our missionary friend knows this truth. In fact, his wife and daughter couldn’t be with us Sunday because they were with his wife’s family, grieving the unexpected loss of his father-in-law a week earlier. And Sunday evening, he told us that he had just gotten a call from his mother; she and his dad were meeting with hospice the next day because his dad is dying of cancer and the end is that close. There is plenty to be weary about, but this missionary friend told us, “It is well.” He knows where his source of strength comes from, and it is not from striving and trying and wearing himself out in an effort to attain perfection. As he told us Sunday morning, Jesus didn’t come to heal the well, but the sick. The missionary’s wife has written beautifully, too, about the struggles they face on the mission field and, heck, just as human beings living in a broken world. I use the word beautifully a lot when I share others’ words, and the common denominator – the thing that causes it to be beautiful to me – is that the speaker is letting herself or himself be vulnerable. I’m writing about being real today because I’m tired and I want to let you know about it. I know my mission, but lately the path to fulfilling it has seemed to take a lot out of me. I’m learning a lot, but some weeks I feel as though I take two steps forward and one step back. I’m working on learning how to discern the essential from the nonessential, but figuring that out is not easy or simple. Be honest. Don’t try to hide the fact that you’re hurting. Talk to a trusted mentor. Ask for prayer from your circle of friends. You don’t have to go into all the gory details, but share what’s on your heart. We were made for community. Reach out. Take a break. If you can’t take a full-blown vacation, escape for just a day, or even an hour. This will help refresh your mind and your body. If you can do this on a small scale every day or week, even better. Spend some time examining the things that got you to this point. Don’t think about it for five minutes and quit; really reflect on what’s going on in your life. Remember your “why” (aka “look at the Big Picture”). Have you figured out your mission – your purpose? If not, get in touch with me or a trusted mentor to help you through the process. Remembering your why is probably the most important thing on this list. I have it as a reminder on my idea board, in notebooks, on my bathroom mirror and as a hashtag when I post a workout to my running app. Remembering my “why” carries me a long way when I’m tired or wondering why I’m doing this. Decide what’s important. Figure out what is essential for you to fulfill your purpose and what is not. Pray. Some of you who read this blog might not pray to God, so substitute the word meditate. I pray to God for peace, comfort and guidance. If you don’t pray, at least take some time for peace and calm so that you can gain clarity. Ask for help. I’m not talking about divine help, notwithstanding Item 7. If you have a task that’s overwhelming, ask someone to help you accomplish it. As wise King Solomon said, you get a better return for your labor; a cord of three strands is not easily broken (Ecclesiastes 4:9-12). Staying up too late. Working on blog-writing, platform-building, branding, marketing, content-producing, time-stealing stuff. It’s all good – I love every bit of it – but it can be all-consuming, too. It’s not so good when you realize you’ve been trying to squeeze Jesus into the cracks – those tiny slivers of space where maybe a bit of light can shine in between the piles of busyness, if you pause just a moment to notice. When maybe He’s been whispering your name but you’ve had too much mental noise to hear His call. He tends not to shout unless He has to. And then you start hearing the same word or message from multiple sources. I don’t believe in coincidence, so I see this phenomenon as my Maker kicking the volume up a notch, to maybe the equivalent of a stage whisper. Beats a kick in the pants. So in a quiet moment I finally notice. I have daily readings on my Bible App and also receive occasional emails from Christian publishers with new resources, studies, devotionals, announcements … marketing. There are times when the emails seem like mere noise, too – just more information overload in an already crowded brain. I opened this one to skim and ended up reading all of it. That just resonated with me. After all, this is what To Well With You is really about: my desire to help all people see their worth as His created ones and to fully realize their God-given potential. As whole, complete beings. “I should really volunteer at church more, lead a Bible study, organize something for the homeless. I’m the worst at this Jesus stuff. I should really be doing more for God! It’s so demanding, it takes EVERYTHING!” said the author, Sara Bessey. Unfathomable peace that satisfies like a cool, refreshing drink. This is what I wish for you today. “No one was sorry when he died.” I can’t think of a sadder thing to be said of someone who has passed away. It’s not necessary that I be remembered for something after I’m gone, but I do want my life to count for something while I’m here – preferably something that will outlive me. The mark I make on the world … I want it to last, because I hope that it’s something good and worthwhile. I want to help make sure others’ lives are better, not worse, because I sucked up air on the planet. I’ve been reading through the books of Kings and Chronicles in my one-year chronological journey through the Bible this year. Most of the kings chronicled in these books were evil, with a sprinkling of rulers who followed the Lord and were blessed because of it. But it didn’t last. (Obedience can be hard work!) Even with shining examples to light our path, without intention and purpose it is easy to go our own way. King Jehoram chose the path of self and left no legacy to be proud of. My ancestors set a good example for me. As far back as I know of, they followed the Lord and passed down that legacy to me and my kin. Most of us, as far as I know, are doing our best to obey the Lord and remain open to His leading. But whether the legacy passed down to you was good or bad, what are you going to make of it? Are you going to use your God-bestowed gifts to bless the world, or to take from it?